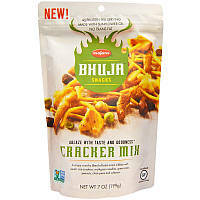 Микс крекеров (Cracker Mix), Bhuja, 199 г.
Fragrant and flavorful spices contrast with a delicious mix of wholesome crunchy nibbles, more rice crackers, garden peas, peanuts, chickpeas and succulent sultanas. 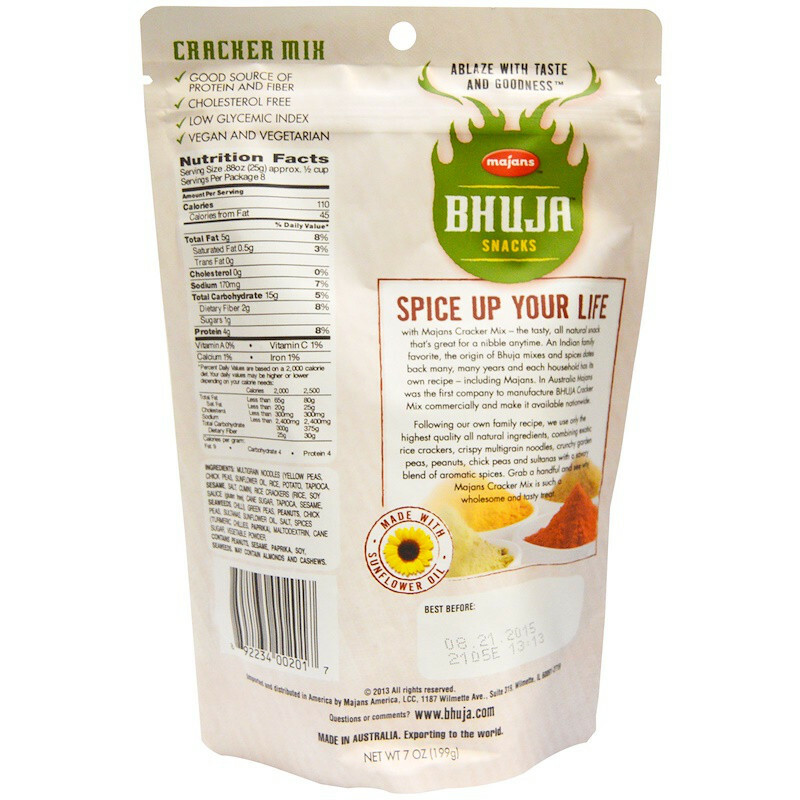 Bhuja snacks are a combination of whole ingredients blended in a secret recipe of all natural spices. We draw inspiration from an ancient time in the East when families used to roast their grains, nuts and pulses and blended them with all natural spices. As time went on and adventures took long journeys, they traveled with a wholesome, yet convenient snack. Today, through our artistry in flavor, we follow time-honored recipes to add wholesome ingredients and delicately infuse them with aromatic spices. We create crunch taste sensations that are better for you. 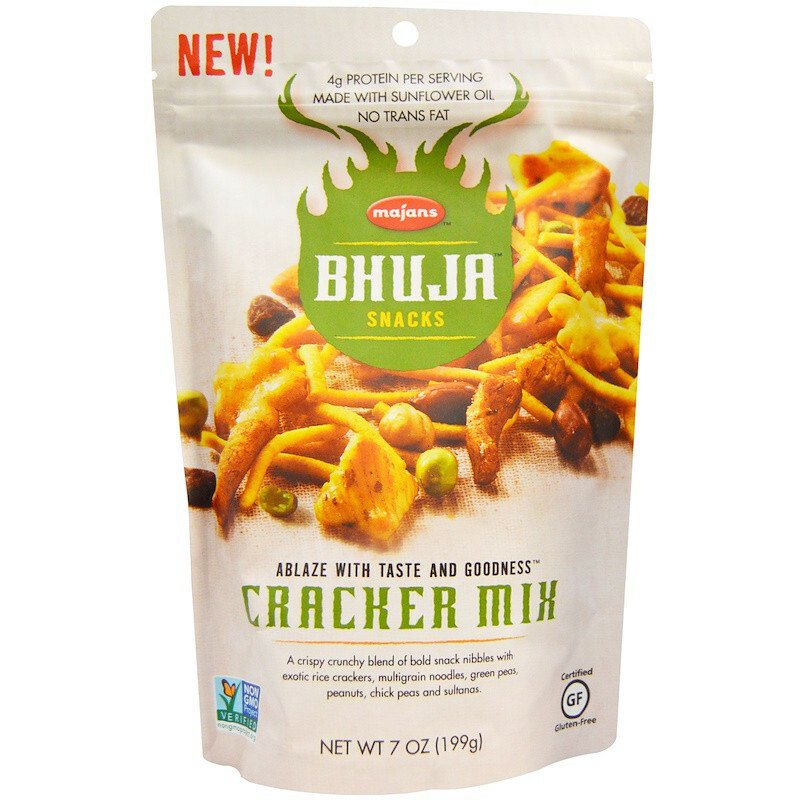 Open a pack of Bhuja snacks and you hold adventure in the palm of your hand. A taste treat like nothing you've ever experienced before. Noodles (yellow peas, chick peas, sunflower and/or canola oil, rice, potato, tapioca, salt, sesame, cumin), rice crackers (rice, soy sauce (gluten free), cane sugar, tapioca , sesame seaweeds, chili), green peas, peanuts, chick peas, sultanas, sunflower and/or canola oil, salt, spices (turmeric, chili, paprika), maltodextrin, cane sugar, vegetable powder. Contains peanuts, sesame, paprika, soy, seaweeds. May contain almonds and cashews.